I recently read that companies still see Social Media as a fad. I still find it hard to believe however, lets just say it’s true and move past it. Everyone agrees that businesses need exposure, and so many avenues of exposure are no longer available. No one reads newspapers unless they are online or in ipad format. People listen to paid radio so that avenue of business exposure is out. There are TV ads, but with cable who would even see your message. So these things alone minimize company exposure due to potential clients and clients not even seeing the message or products that your company has to offer. So a few easy steps to get started. On these three channels add information about your company, what you have to offer to introduce your company to the world of social media. The differences in these three channels. 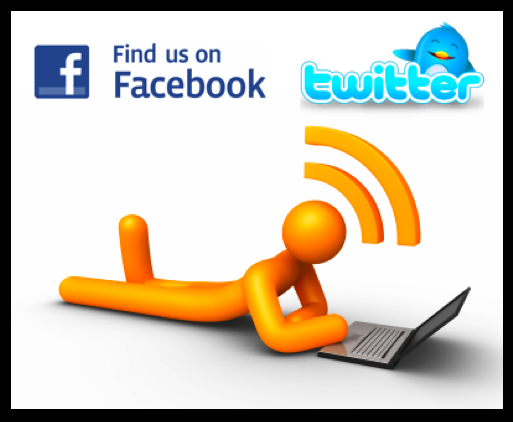 Facebook Page: Allows immediate interaction with the people that have an interest in your company. It can be as casual as a hang out spot or a little bit more informational. My company page is both information and casual. The key is great content for your page. The Twitter Account is to provide short bits of information to followers. It allows people to see what your company is about in 140 characters or less. I provide Internet Marketing information using my Twitter account. I talk about the world of social media, gadgets, cell phones, ipads. I talk about whatever is cool and tech related that I think my followers would be interested in. Your Blog is also information about your company and has become almost a replacement for a company website. I two primary blogs, this one and another that is mostly technology focused. There are many different blog formats to start you blog as well. So that’s it! Go get started. As usual, if you have any questions or comments, good, bad, ugly or indifferent feel free to leave them here or post directly on my Facebook Wall. Ok stop reading this blog and get started.